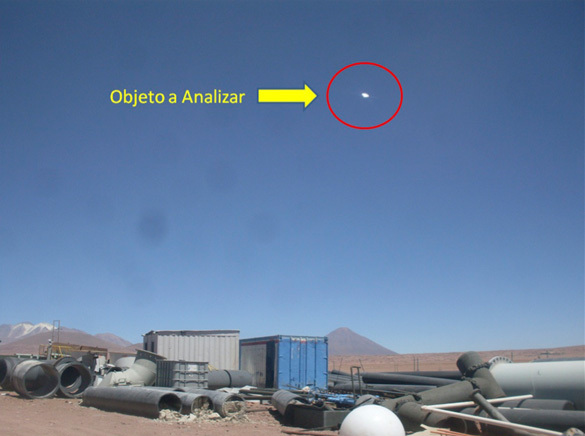 The Chilean government, one of the few governments to have an official UFO investigation organization, recently released a report regarding their investigation of two UFO photographs taken by miners in a secluded area of the Andes Mountain range. They ruled out man-made objects and have not come up with an explanation for the object in the images. The object remains unidentified. The Chilean UFO organization is called the Committee for the Studies of Anomalous Aerial Phenomena (CEFAA) and is part of their Ministerial Department of Civil Aeronautics (DGAC), which is similar to our FAA. 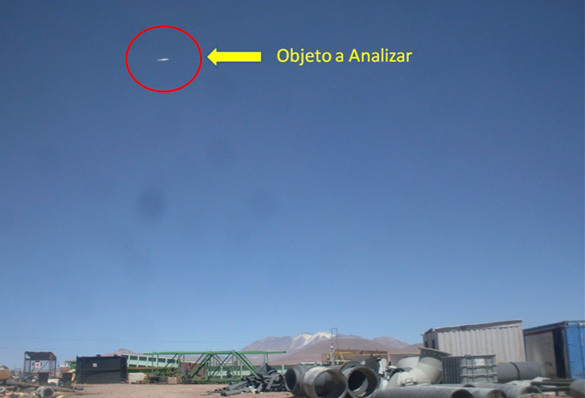 They seek to identify UFOs in Chilean airspace as a matter of air safety. Journalist Leslie Kean has a close relationship with CEFAA, and she posted details about the photos taken by the miners in her blog for the Huffington Post. 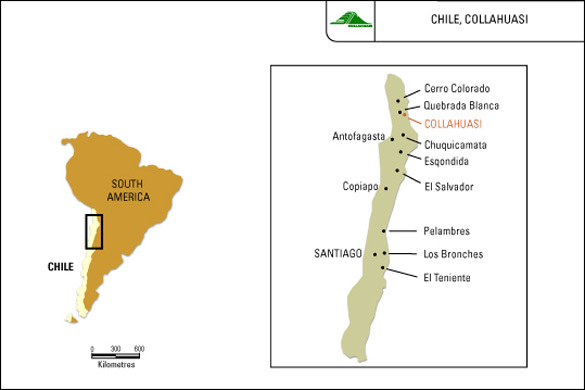 She says the pictures were taken at the Collahuasi copper mine in northern Chile. It is a remote location 14,000 feet above sea level. The air is thin and very clear. 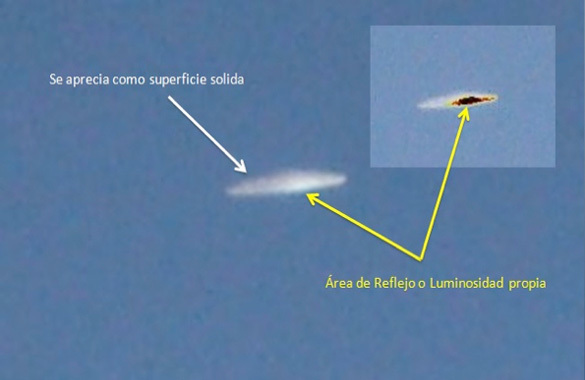 The UFO was spotted by four technicians in April, 2013. They say they saw a disk-shaped object hovering and moving around the sky for more than an hour. They estimated the object to be 2000 feet in the air. It made no sound. 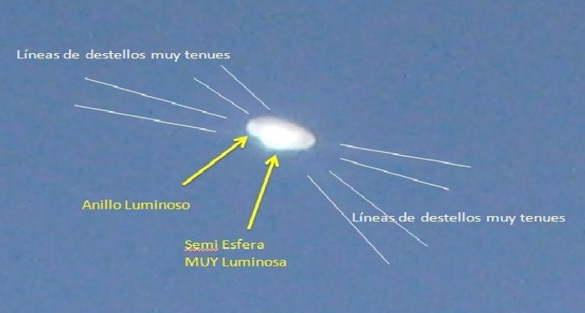 They captured two pictures of the object before it finally moved off to the east where they lost sight of it. Although they captured the images over a year ago, they did not tell anyone for fear of being ridiculed. CEFAA did not become aware of the pictures until February of this year. The technicians had shown one of their supervisors the pictures, and he sent them to CEFAA. The four original witnesses did not want to talk to CEFAA, even though they were told they could do so anonymously. Their supervisor did relay what information he knew, and he did ask to remain anonymous. Given the limited data available, he was also able to determine that the object did move some distance between the time the photos were taken. Although, it is unknown how much time passed between photos. “This is clearly not a normal thing seen in the sky (bird, plane, cloud, etc. ),” Maccabee told Kean. “That makes it either the real thing – UFO – or a hoax, and it doesn’t appear to be a hoax. Although the inability to question witnesses does reduce the credibility. Certainly, this case is worthy of further study. Since Kean’s story in the Huffington Post, many media outlets have picked up on it, including Fox and CNN. CEFAA has had several cases they could not identify over the years. They post their case files online at www.cefaa.gob.cl.